Here in Nashville you can throw a rock and hit enough guys with a guitar to fill an ER waiting room. So it goes without saying that you’ve got to have something special going for you if you want to stand out. For Andrew Peterson, that something special comes in the form of a poet’s language, a comic’s wit, a philosopher’s pen and a journeyman’s trunk of stories. He dishes all of these out in spades on his latest album, Counting Stars. Andrew is an engaging songwriter that can weave a story or speak a truth while evoking emotion in practically every line. He’s unafraid to be brutally honest, but he somehow always does it in an inspiring way. He’s that rare breed of writer that acknowledges both the tunnel and the light at the end of it, while never oversimplifying either one. Like Paul Simon, his unique sense of melody and chord structure allows for interesting musical accompaniments on his records, with each song still being strong enough on its own to be performed at concerts in a clean, James Taylor-style unclutteredness. Throughout Counting Stars, he manages to mine the age old themes of struggle, redemption, beauty, darkness and the purpose of life itself to uncover new found treasures and truths to share with anyone who will listen. 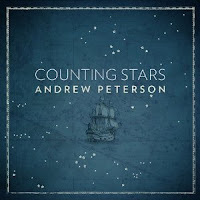 For the twelve songs on Counting Stars, Andrew pulls together inspirations from literature, relationships, nature, The Bible and his own roles as a husband, father and friend to pack each song with authenticity and invitation. As a welcoming introduction to Andrew and the album itself, opening track “Many Roads” is sung directly to the listener and references Roald Dahl’s “Charlie and the Chocolate Factory,” the Bible and his usual “touring band,” Ben Shive and Andy Gullahorn. For the next song, “Dancing In The Minefields,” Andrew relates a little of his engagement story and sings of perseverance in the rich struggle worth fighting that’s found in all marriages. Like any good folk singer/troubadour, Andrew is also in touch with his agricultural, earthy side and uses nature as a character in songs like “The Last Frontier,” “The Magic Hour,” “Isle of Skye” and the literal and metaphorical “Planting Trees.” Andrew’s passionate faith in God and honest life journey bubble through every song and are especially compelling in the lines “I’ve got sorrow to spare, I’ve got loneliness too, I’ve got blood on these hands that hold on to the truth” (“Fool With A Fancy Guitar”), “At the bottom of this well I hear You breathing, love below me, love around me, love above me, love has found me” (“The Last Frontier”) and “So be my God and guide me ‘til I lie beneath these hills and let the great God of my fathers be the great God of my children still” (“God of My Fathers”). I’ve followed Andrew’s career since the late 90’s and he continues to amaze with his songwriting prowess and his storytelling skills, as well as his other pursuits as an author (“The Wingfeather Saga”) and an online community organizer (The Rabbit Room). 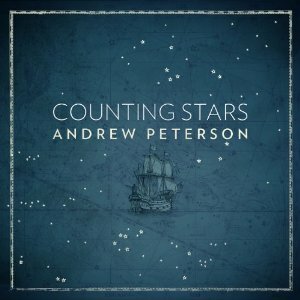 If you’re already a fan of Andrew’s then Counting Stars will be a continuation of the richness you’ve come to expect from him. But if you’ve never experienced Andrew’s music before, I guarantee you will genuinely be entertained and enriched through his songs and stories. Counting Stars will be released on July 27th through Centricity Music and can be purchased here.